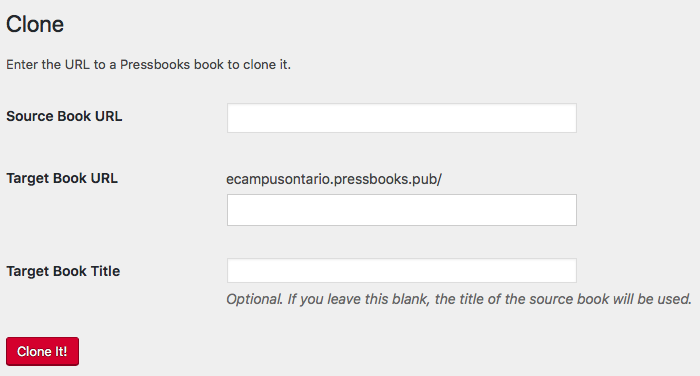 Pressbooks enables you to easily “clone” or copy any public, openly licensed book from one Pressbooks network to your own PressbooksEDU network. *Image metadata, including alt tags, titles, descriptions, and captions, will only clone when both Pressbooks networks are running version 5.5.2 or greater. This content is not cloneable because they are created using third-party plugins that do not provide for API endpoints that our cloning tool can use to fetch the data. You’ll be brought to the cloning interface. Choose the title for the target book. Insert a new title in the “Target Book Title” field. Note that this setting is optional. If you leave this field blank, the target book will have the same title as the source book, and that title can be later changed on the Book Info page. 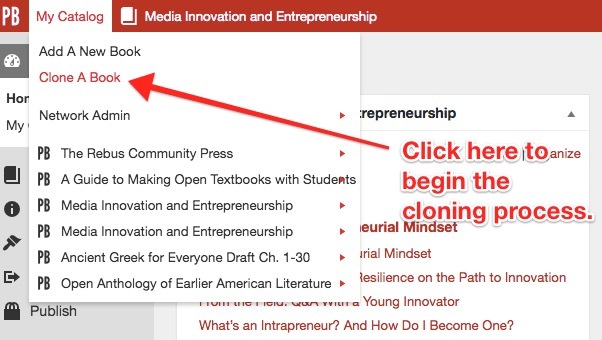 NOTE: Only sections of the book that have been selected to “Show in Web” will be cloned. 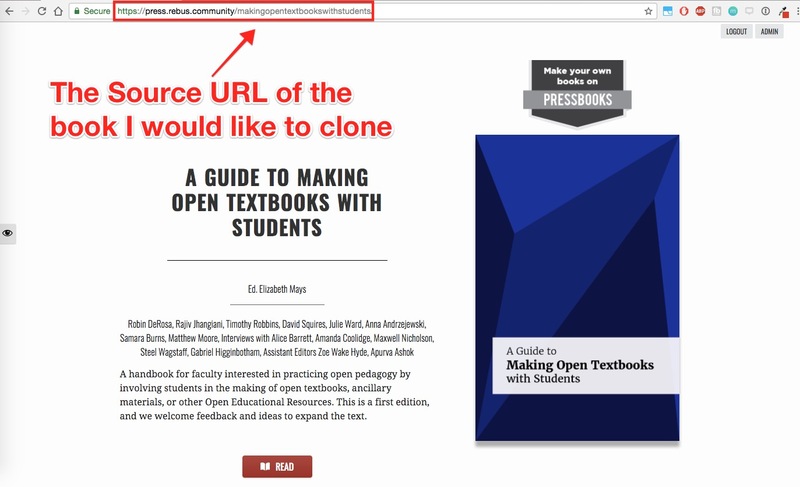 H5P interactive media in a source book can be cloned like other media. However, it’s important to note that in order for H5P to be cloned successfully, both the source network and your network must be running the most recent version of Pressbooks and H5P. If the network is hosted by Pressbooks, this software is updated automatically. However, if you’re cloning to or from an open source network, be aware that H5P cloning won’t succeed unless the above specifications are met.